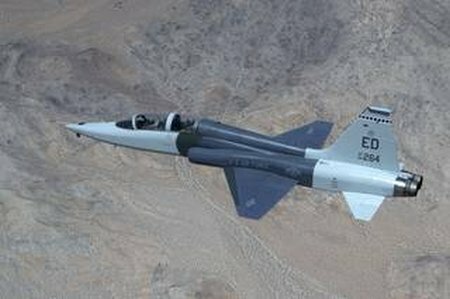 A T-38C from the Air Force Test Pilot School served as a target for NASA’s schlieren imaging system. “After much planning and a little luck we were able to acquire in-flight images and process the data, achieving results the first time out,” said J.T. Heineck, the NASA Ames principal investigator who originally proposed the idea of using the background oriented air-to-air technique. Ed Schairer, Heineck’s colleague at Ames, where a provisional copyright for AirBOS technology and related flow visualization applications has been filed, wrote the code with which these images were processed. This technique shows not only shock waves but all density changes including vortices and engine plume effects. Future work may include imaging subsonic aircraft flow fields. Researchers continued to refine and improve techniques during the AirBOS 3 series in February 2015. Supersonic target aircraft included a NASA F-15 anda T-38C from the Air Force Test Pilot School (TPS) at Edwards. Air Force test pilots Maj. Jonathan Orso and Maj. Jeremy Vanderhal spent several weeks working with NASA to plan the T-38 flights and determine how to precisely align the jet’s flight path beneath that of the B200 to capture the schlieren images. Synchronizing the flight paths of the supersonic T-38 and subsonic King Air required complex integration of the airplanes’ navigation systems to ensure that both would be properly positioned over the background target area. “Safely coordinating two very dissimilar aircraft, operating in close proximity and with a rapid closure rate required a total team effort between NASA, the 412th Test Wing, and TPS,” Orso said. The AirBOS effort was funded by NASA’s Aeronautics Research Mission Directorate and managed by the Commercial Supersonic Technology (CST) project in the directorate’s Advanced Air Vehicle Program. CST Project goals include providing research and leadership to enable the development of a new generation of supersonic civil transport aircraft. 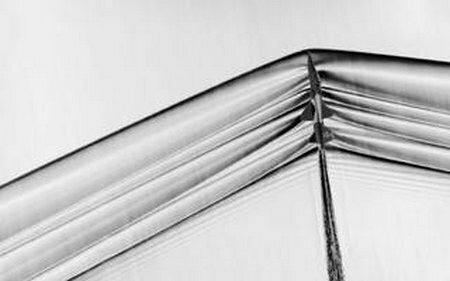 The project’s near term objective is to develop the tools and integrated concepts that will enable demonstration of overland supersonic flight with acceptable sonic boom impacts. The current regulatory prohibition against flight that produces a sonic boom over populated areas is viewed as the principal barrier to future supersonic civil aviation.